At Yale M. Kadesky, M.D., we understand that everyone may have something they wish to change about their appearance. Some people want to change the shape of their body while other people want to remove wrinkles. However, attempting these changes with any form of over-the-counter-products will not be nearly as effective or as safe as visiting our practice for professional procedures and surgeries. While some patients believe that the procedure will never accurately capture the look and feel of what they want, Dr. Kadesky aims to please patients. Coining the phrase, “The H-art of Plastic Surgery,” Dr. Kadesky strives to create works of art through each of his procedures. We draw out a patient’s inner beauty for a more confident and comfortable appearance. We treat each patient with high levels of respect, professionalism and care. 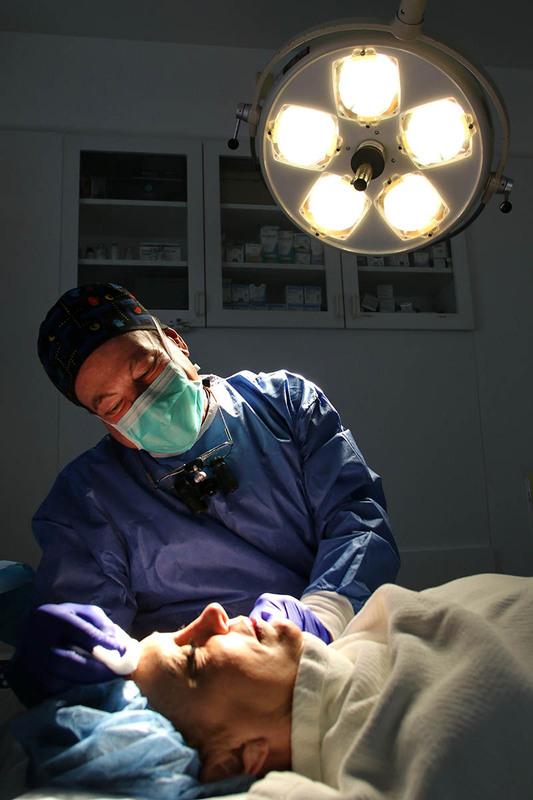 Leading up to any procedure, we will ensure the patient understands what will happen. Following the procedure, we will also call the patient to help them adjust and ensure that everything is running smoothly after the procedure. Below are common questions that patients ask us on a regular basis about our procedures and the details. If your question is not here, do not hesitate to call us at (760) 741-5466. What kind of procedures do you offer? For more information on our services or to figure out which treatment is right for you, contact us to schedule a consultation. Is surgery necessary for every single procedure? No. There are procedures that can help to decrease wrinkles in the face and enhance one’s appearance without the use for surgery. However, non-surgical treatment methods may not be as effective as surgical procedures. We can examine a patient during a consultation and determine which procedure is the right choice for the patient’s desires. No. For all procedures that involve surgery, the patient will be under sedation and will not feel any pain. Following the procedure, there may be some soreness or redness in the area of the enhancement that will fade after a few days. In many cases, we may recommend pain killers or a form of wrap with bed rest for several days after the procedure to help everything set in place. The cost of each procedure will varies based on the needs of the patient. We can go over the cost and more information during a consultation. What will be the recovery time be like? The recovery time can take several days to a week and will depend entirely on the type of procedure. In other situations, the patient’s health can also play a part in lengthening the recovery time. We will go over the recovery time in greater detail during the consultation. How long will it take to notice a difference in my appearance? With many of the procedures, the results will be instantaneous. However, some procedures may take more time for the results to be noticeable and prominent. We can go over the exact time frames for any procedure during a consultation. What will the schedule for treatment be like? Following a consultation, we will review the patient’s current health and medical history before we move forward with deciding on a procedure. We will also need to go over any allergies or other pertinent health information, as well. Once we gather all of this information, we will then schedule the procedure and any follow up appointments if they are necessary.